Analysis of a phenomenal video showing a hot and bizarre UFO is complete and the results are stunning. 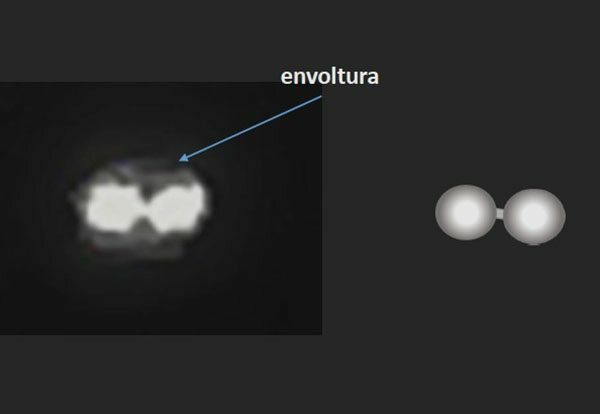 For the past two years, Chilean authorities have been investigating what many consider to be the best video proving the existence and presence of UFOs in our skies. In charge of the investigation was the CEFAA, a Chilean governmental agency tasked with studying UAPs or Unidentified Aerial Phenomena. A panel of academics and military experts have completed the analysis of the notorious video and their conclusion strongly suggests the object was indeed an unidentified flying object, possibly extraterrestrial in nature. So let’s make a short note of what happened during the incident. On November 11, 2014, a Chilean Navy helicopter was performing a routine mission west of Santiago, along the nation’s coastline. The Airbus Cougar AS-532 was being flown by an experienced pilot. He was accompanied by a Navy technician who was testing a Forward Looking Infra Red (FLIR) camera usually used in reconnaissance and surveillance missions. The day was clear and visibility was optimal. While cruising at an altitude of 4,500 feet and a speed of 132 knots (152 mph), the technician’s attention was drawn to an object flying above the ocean. The strange object was visible with the naked eye and both men managed to see it. The technician estimated the UFO’s speed matched theirs and the distance that separated them to be around 40 miles. He then pointed the FLIR camera towards the object and zoomed in. At the same time, the pilot contacted two radar stations to inquire about the unidentified flier’s nature. Although both stations could see the helicopter on their radar screens, neither could confirm the unusual presence. As is often the case, the Airbus’ onboard radar was also unable to pick up the UFO. Traffic controllers maintained that no aircraft (civilian or military) had been permitted to enter the restricted airspace the UFO was in. After multiple attempts to communicate with the object failed, the technician focused on keeping his lens on the UFO and in the end, he was able to capture a little over 9 minutes of footage. They stopped their observation of the unusual phenomenon when the UFO disappeared behind thick clouds and they were ordered to return to base. 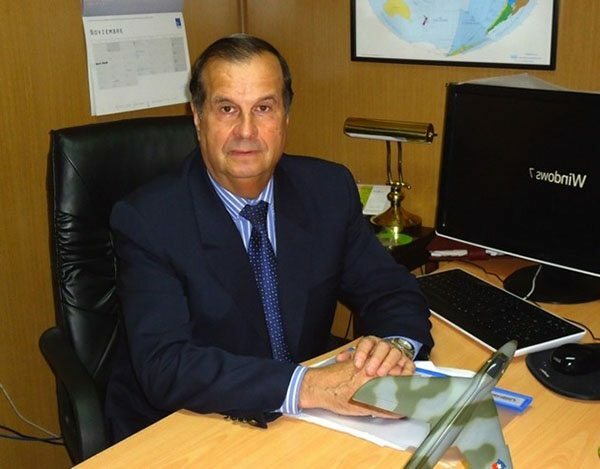 The video evidence was handed over to the CEFAA and the two witnesses were interviewed by General Bermúdez and CEFAA committee member Mario Avila. In the video, you can see the trail of extremely hot material being left behind by the UFO. The following videos capture the object’s behavior in both infrared and High Definition. The video above shows the UFO discharging the plume of hot gas or liquid. Bizarre, to say the least. The video below shows the object ejecting hot material for the second time. For two years, the CEFAA held meetings and deliberated over the true nature of the object captured in the infrared video. Baffled members from various scientific committees were unable to properly explain the incident without invoking UAPs. While some proposed that the UFO was actually a “medium-haul aircraft” dumping cabin waste water, this hypothesis was quickly invalidated by the the fact that two ground-based radar stations and the helicopter’s onboard radar were unable to pick it up on their screens. Furthermore, no clearance to enter that particular airspace was given to any type of aircraft and no response was received when communication was attempted. Data gathered from meteorologists showed that no weather balloons were present in the area, not that such a behavior could ever be attributed to a weather balloon. When a weather balloon’s structural integrity is compromised, it simply pops and falls to the ground. judging by its unusual demeanor, the object in the video was clearly something else. It can be concluded that the object has all the characteristics to be classified as an unidentified aerial phenomenon.” – Alberto Vergara, Air Force Photogrammetric Department lead analyst. Below is the full video of the sighting. For multiple reasons, this case represents a milestone in the study of UFOs and UAPs. Extensively studied by scores of experts, the Chilean Navy UFO has the potential to set the standard for unidentified object video analysis and could become one of the best pieces of evidence towards proving this is a real phenomenon and not the result of fiction and hoax.